Http stands for Hypertext Transfer Protocol. It allows World Wide Web users to transfer information like image, text, video, music, graphics and other files on web pages. HTTP is basically used to access HTML pages and other sources can be accessible using HTTP. To secure your websites it’s a must to install HTTPS on the website. Wondering how to secure your website through HTTPS? 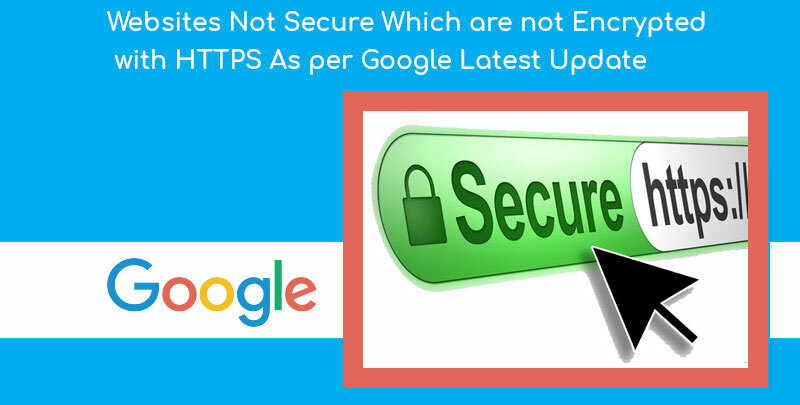 In this write-up, we have enlisted the steps to install HTTPS and the security features of HTTPS are elaborated properly. Are you aware of the benefits of HTTPS? We have listed the utility of HTTPS to offer you better clarity. Customer information like credit card numbers are encrypted and cannot be intercepted. Encryption – It is the process of encoding message in a way that only authorized persons receive and understand the data. Encryption is important as it allows protecting data which you don’t want to access anyone else. Data Integration – Data Integration is the process of combining data from different sources into valuable information. The data integration aims to prevent unintentional changes to information. Authentication – In the authentication process, user’s credentials are matched and confirmed their identity. Commonly for login on a particular platform, the user enters a unique username and password for their unique identity. Moreover, the person has to prove the identity by some other means like OTP. In order to make your website HTTPS, you need to have SSL Certificate. Secure Sockets Layer, commonly abbreviated as SSL is a tool for securing and encrypting data from third parties and hackers, at the time of sharing information from a user to a server and vice-versa. It ensures that the site is extremely secure to share important and vital information. SSL certificates have keys such as public key and private key which works together to build a secure and encrypted connection between user and server. When the data is shared from the user’s side, it gets encrypted and the authorized person having the pair of keys can access the shared data. This is one of the quickest and easiest steps. Usually, website hosts sell SSL Certificates and will even do most of the configuring for you—Nexcess is a good example of this. The expensive Wild Card certificates will cover both, but probably not necessary for most setups. If your website host does not set up the SSL Certificate for you, it will be a matter of generating keys from the seller and putting them in to the website host control panel. Once your website is configured properly, you will no longer see messages warning about invalid certificates when visiting HTTPS pages. You will probably need to clear your cache completely to see these changes. Also, if you have not configured the actual website to be HTTPS friendly, you might get redirected back to the HTTP site. Every website host is a little different. Some will have an entirely separate folder for HTTPS. So keep an open mind when getting things set up. When in doubt, place a call at our helpline number: 0557503724 and get all your queries resolved in an instant. Our experts at UAE Technician are ever ready to help you out. They are well experienced in handling these issues. So without losing any more time reach us for ultimate assistance. If you are getting a busy time on our number, avail our live chat facility and convey us your doubts. Give us a buzz today! Hurry!